I live in Lutz, which is a small town just north of Tampa. You know how it is with small towns around big cities: the big city expands to the point where you can’t tell where the big city ends and the small town begins. If you drive up Dale Mabry Hwy you’ll drive through a couple of small towns and not even know it. Lutz is one of those little towns, no police force, no town hall (I think?). Because I live here and my home studio is listed as my business address, I show up in searches for local businesses on the map. I’ll be honest, I don’t get as many calls for Lutz headshots as I would like. I sometimes think that small businesses in small towns don’t realize the importance of good headshots. It’s more important than ever because you want to look professional no matter where you are. 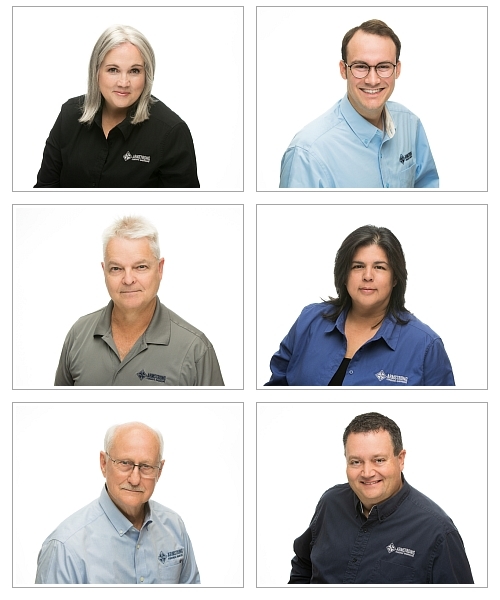 Armstrong Forensic Engineers is local to Lutz and I recently did their headshots. I did everything on location, right in the foyer of their offices (they’re located in one of those office parks we have everywhere here that look like a collection of co-op homes). The whole think took about an hour and now they have great professional portraits for their website, email, business cards and anything else they need. They are really on the ball because they haven’t even built their website yet but they have the pieces they need to make it professional and sharp. Executive Portraits and Head Shots. Why Are They Important?